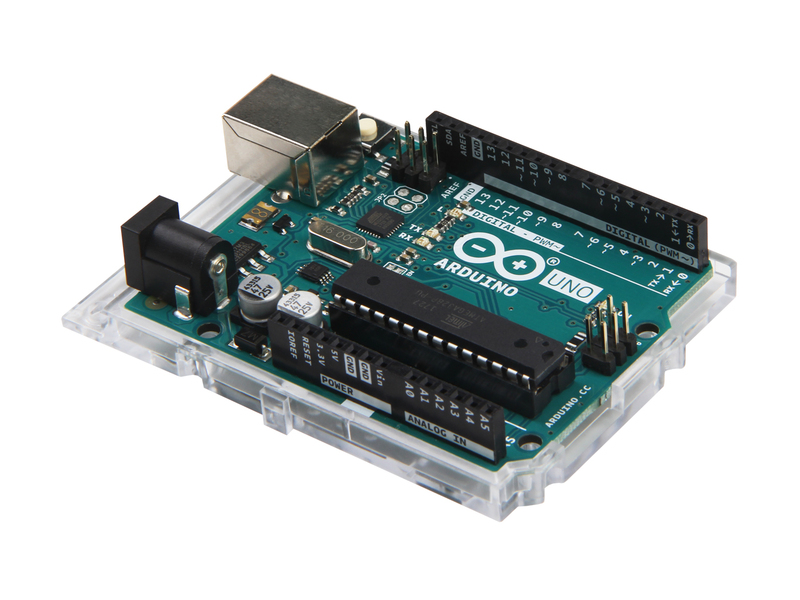 The Arduino Uno Rev 3 is a microcontroller board based on the ATmega328, an 8-bit microcontroller with 32KB of Flash memory and 2KB of RAM. 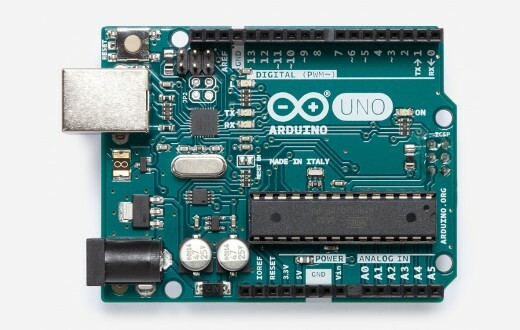 It has 14 digital input/output pins (of which 6 can be used as PWM outputs), 6 analog inputs, a 16 MHz crystal oscillator, a USB connection, a power jack, an ICSP header, and a reset button. 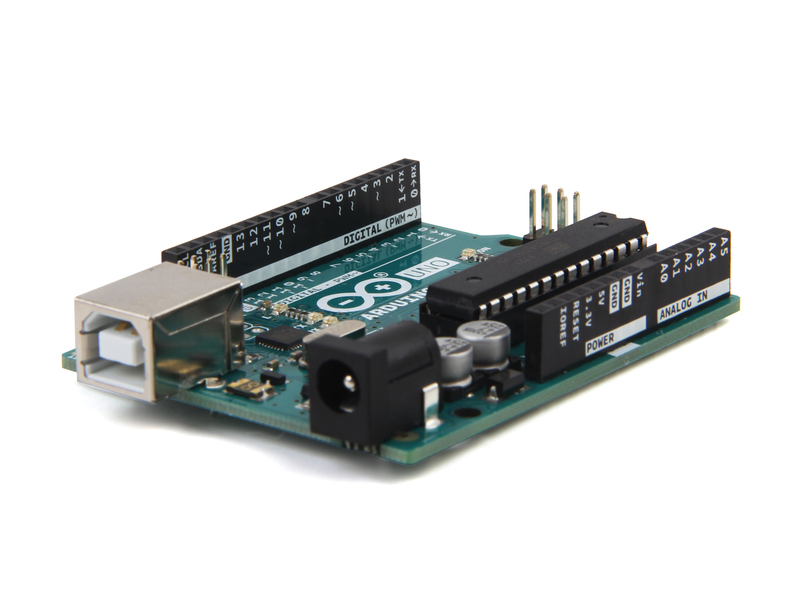 It contains everything needed to support the microcontroller; simply connect it to a computer with a USB cable or power it with a AC-to-DC adapter or battery to get started.The Uno board is the first in a series of USB boards and it is the reference model for the Arduino platform. 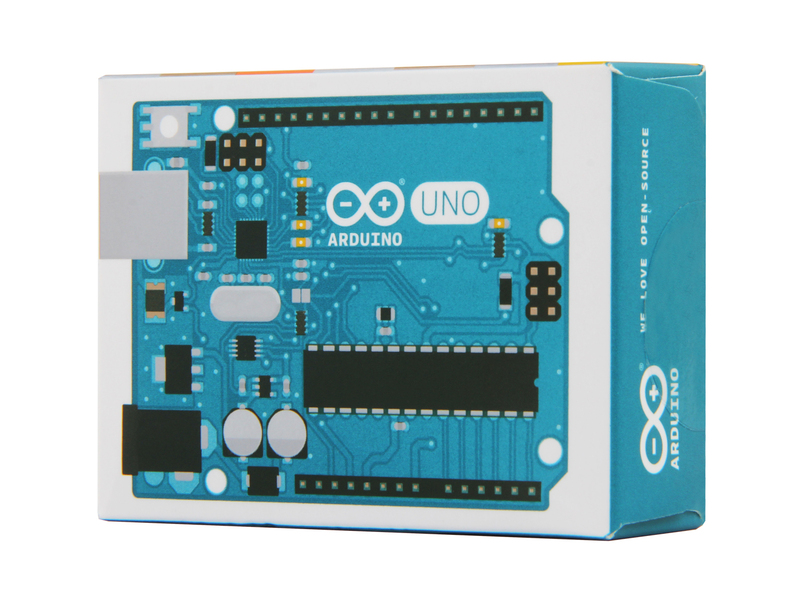 Arduino Uno is the ideal board for getting started with electronics, through fun and engaging hands-on projects. 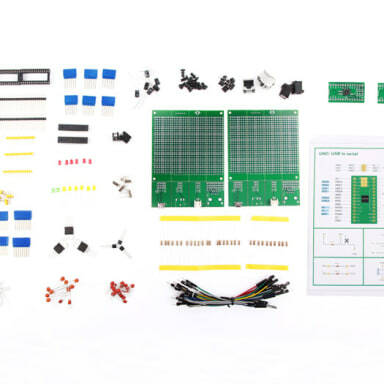 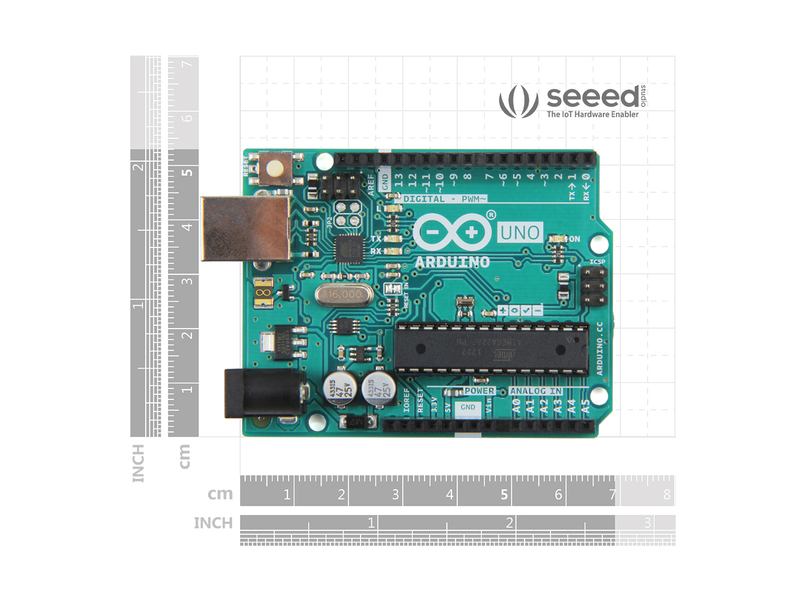 This board is your entry to the unique Arduino experience: great for learning the basics of how sensors and actuators work, and an essential tool for your rapid prototyping needs. 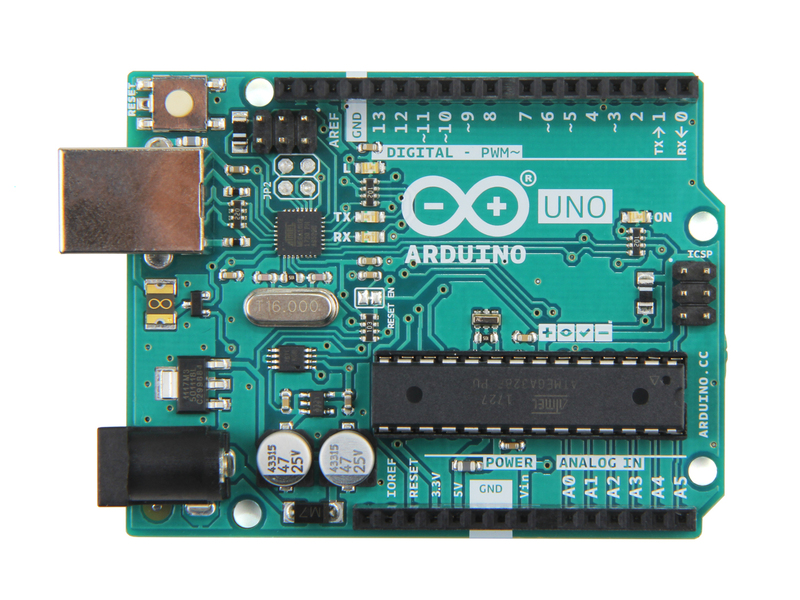 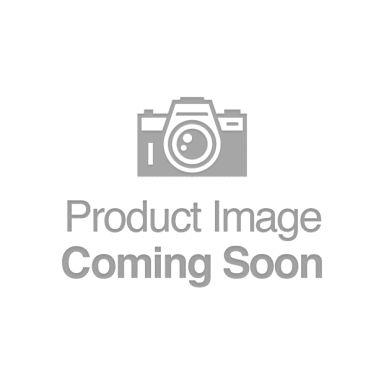 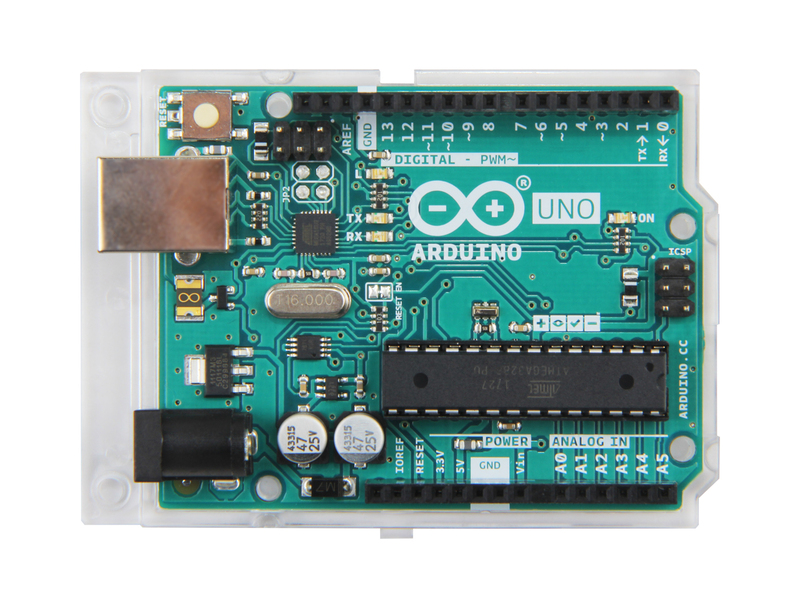 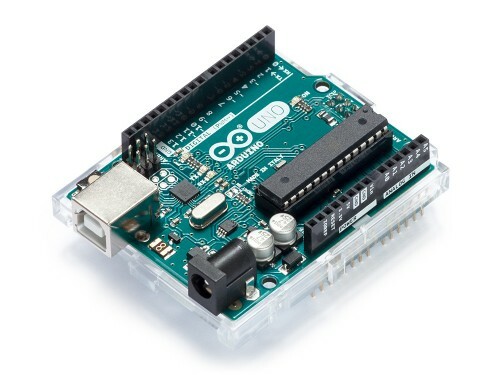 Arduino Uno Rev3 is the most used and documented board in the Arduino family.